SOURCE: Coastal Integrated Services Inc.
LAS VEGAS, NV--(Marketwired - Apr 16, 2015) - Coastal Integrated Services Inc. (OTC PINK: COLV) is pleased to announce that its wholly owned subsidiary, Simply Lids Inc., was requested to quote pricing to supply 2.5 billion lids annually. Simply Lids was requested to quote supplying lids based on an annual volume of 2.5 billion. Subsequent to providing the quote, Simply Lids entered into a nondisclosure agreement with this major worldwide beverage retailer to further this potential business opportunity. John Newman, President of COLV stated, "After recent validation in our efforts to produce the safest and most functional beverage lid, the food and drink industry has taken notice. This opportunity to quote our lid is the ultimate compliment and is the beginning in a series of stages to becoming the leader in this multi-billion dollar sector." 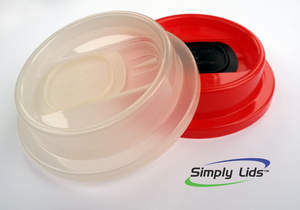 Simply Lids is an award winning company whose specialty is disposable beverage lids in the food services industry. Simply Lids' patented technologies provide a safer, more enjoyable drinking experience, without splashing or spills, and has the added benefit of unique marketing opportunities, never before realized in this industry sector. Simply Lids plans on being the leader in this multi-billion dollar sector through the application of its unique technology and innovation. For more information, please visit our website at www.coastalintegratedservices.com. Disclaimer/Safe Harbor: This news release contains forward-looking statements within the meaning of the Securities Litigation Reform Act. The statements reflect COLV's current views with respect to future events that may involve risks and uncertainties. About this company Coastal Integrated Services Inc.